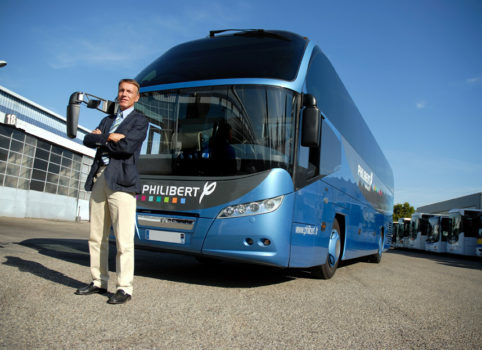 For more than 90 years, the Philibert family has contributed to the development of public transportation and the rise of tourism in the Auvergne-Rhone-Alpes region. Today, as much as yesterday, Excellence and Respect are the references livening up Philibert : let yourself be transported! Watch our corporate vidéo for our 90th anniversary. 1925, Adolphe Philibert creates the heavy trucks trading business in Lyon. 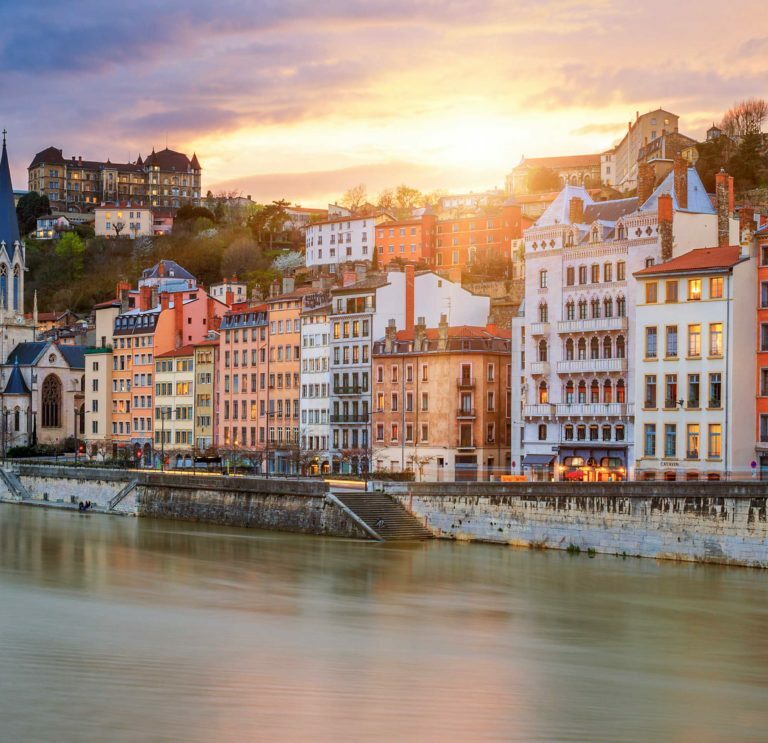 In 1930, he began the activity of people transportation with the creation of a first line between Lyon and Saint-Claude, a second one between Lyon and Annecy in 1932, then he bought the line Lyon – Bourg en Bresse in 1936. In 1948, Philibert won the prize for the elegance of the coaches. Excellence and Respect will then become the strong values of the company. In the 1950s, Leo Philibert, son of Adolphe, predicts the boom of the holiday’s market and diversifies its activity. Thus, he launches a first travel agency in Brotteaux and becomes the first regional tour-operator specialized on Greece. The tourism activity combines new means of transportation such as boat and airplane. Avec l’arrivée du TGV à Lyon, Marc Philibert, actuel Président Directeur Général et petit-fils d’Adolphe, lance alors l’activité réceptive, accompagnant ainsi de nombreux touristes à la découverte des richesses de la région. Pour accompagner son développement, Philibert Transport ouvre régulièrement de nouveaux centres d’exploitation, permettant une proximité et une qualité de service indispensables au respect des valeurs fédératrices de l’entreprise. 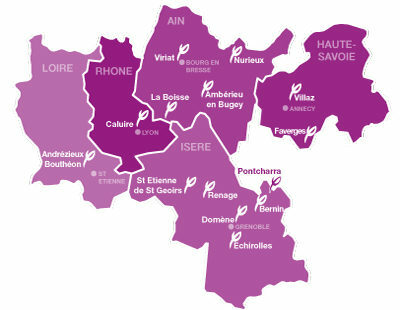 Aujourd’hui, les dépôts Philibert exploitent des lignes dans le Rhône, la Loire, l’Ain, en Isère, en Savoie et en Haute Savoie. Philibert drivers transport customers and travelers daily to schools, workplaces and leisure sites. 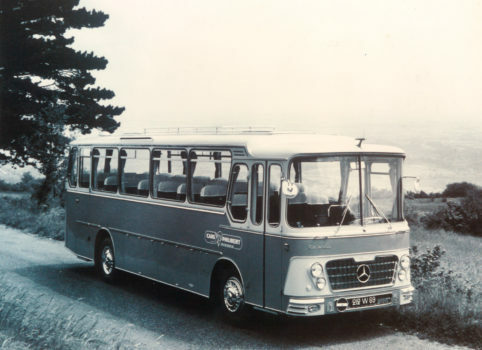 Providing more than 40 regular public lines and serving more than 250 cities in Rhone-Alpes, its fleet of vehicles increased from 2 buses in 1925 to 485 in 2015. Renowned for their commitment to safety and friendliness, Philibert drivers welcome and drive around 20,000 children every day between their homes and their schools. Adolphe, Leo, Marc, three names for the same signature: Transport Philibert, Excellence and Respect.